We attack sales inefficiencies by using predictive analytics to deliver real-time, individualized offers and incentives to online shoppers. Buycentives' patent pending tech helps leading brands manage sales incentive expense more intelligently and efficiently, by delivering data-driven offers on-demand. Car companies spend $30B every year, just on rebates and incentives. Accenture estimates at least 15% is wasted. Dave has 20+ years experience in automotive advertising, marketing (OEM planning, wholesale and retail, e-commerce and Internet) and product development, at Saturn, Leo Burnett, J. Walter Thompson and Frog Design. 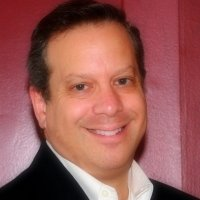 He founded GreatFamilyRentals.com and was CMO for Intrago, a transportation technology startup. Dave holds an M.B.A. from the University of Michigan Ross School of Business, and an Engineering degree from Michigan State University. Sean possesses over 20 years of experience in the automotive (OEM strategy, research and forecasting, dealer business consulting) and enterprise IT (business development, partner acquisition, start-up launch) sectors. Sean also has enterprise IT sales experience at mainframe migration companies Clerity Solutions, TmaxSoft and Lead Point, Inc. He holds an M.B.A. from Wayne State University and a Marketing degree from Central Michigan University. Ilya has over 10 years experience as a software architect, integrator, and engineer. Ilya has experience in smaller organizations, such as Nextrials, a web-based software solutions provider for the clinical research industry and BazuSports, a race technology services provider for endurance sports events. His large enterprise experience includes Ford Motor Company and DTE Energy. Ilya holds a Computer Science degree from Wayne State University.